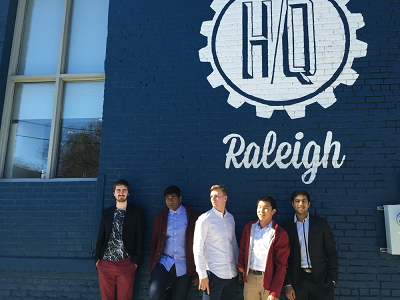 “In July 2015 I took a great challenge and moved in Raleigh for one month. I became one of ten students of this program, the only one from Europe that time. And it was a game changer. Ten strangers turned quickly into friends who worked and studied together. We explored, created or helped someone every day. Along our journey it was amazing to follow our ideas which started to shift into real business plans and socially responsible ventures. And that happened thanks to help and support from start-ups leaders, CEOs, professional coaches and other people. We developed every day, our visions got thicker, more consistent and vivid with every lesson we had. At the end, 10 people full of passion introduced their ideas to broad audience during final pitch presentation. 10 great ideas which our about to change our societies and communities. 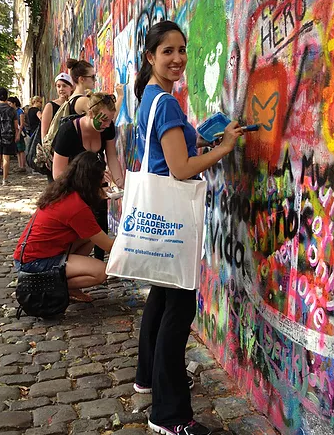 “I had a life changing experience on the Global Leadership Summer Study Abroad Program in Prague. Through the classes and leadership of the instructors, and the powerful and inspiring stories of the delegates (from all over the world), I was challenged in how I thought about the world, leadership and even myself. When I returned I had developed a clear idea about what I wanted to do and felt I had the tools to achieve it. The program inspired my postgraduate level studies, career choices since and even travel destinations (to go and see my friends). Not to mention, the Czech Republic is a stunning country! From paddle boating on the river, visiting the castle, weekends away in Berlin and Vienna, and catching up with friends over 20cz beers after class- there is no better place to spend your summer! You will not regret signing up for this program. It has inspired the development of NGO’s, social enterprises, and helped to develop changemakers across the world. What happens in Prague can’t stay in Prague- when you come back you will never be the same! How could this program be improved? Take me back!